We love to roast root vegetables during the cold weather months. We typically keep it simple and drizzle basting oil onto a baking stone full of butternut squash, parsnips, carrots, and cloves of garlic. (For a fancier version, try maple syrup and sage.) They warm our kitchen and warm our bellies. So we thought, why not roast stone fruits, too? 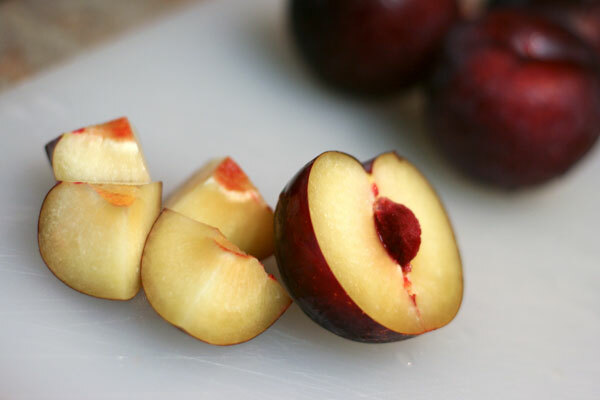 This recipe, adapted from Two Peas and Their Pod (another lovely cooking couple, like ourselves), uses sweet plums, but you could also substitute peaches, pears, or apricots. Combined with honey, brown sugar, and cinnamon, the plums take on an even sweeter note. Just look at that caramelized goodness. We spooned the roasted plums onto Greek yogurt and topped them with chopped almonds and one more drizzle of honey for a perfect evening snack. Preheat the oven to 400° F. Line a baking sheet with foil and spray with cooking spray. Set aside. 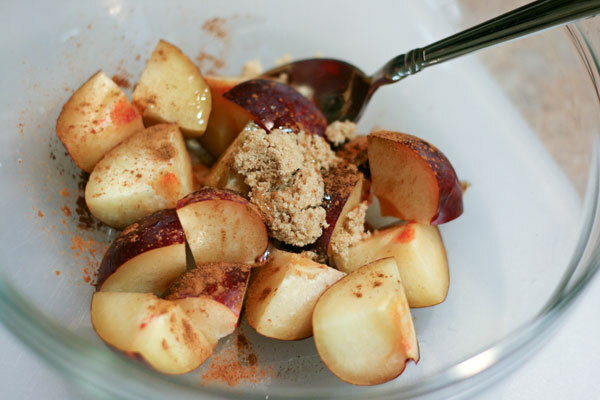 In a medium bowl, combine plums, honey, brown sugar, and cinnamon. Stir well. 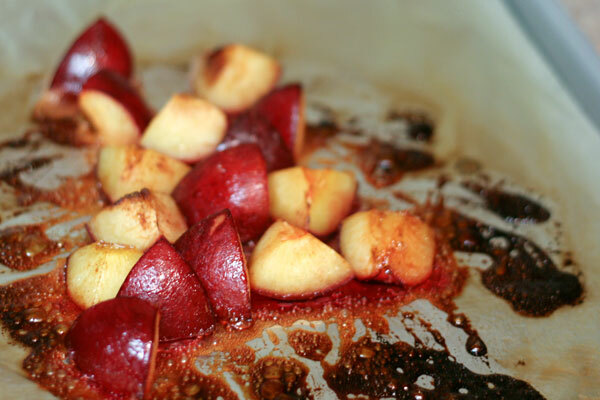 Pour plums onto the prepared baking sheet. Roast in the oven for 15-20 minutes, stirring at least once, until plums are soft and juicy. Remove from the oven and let cool. Scoop yogurt into serving bowls. 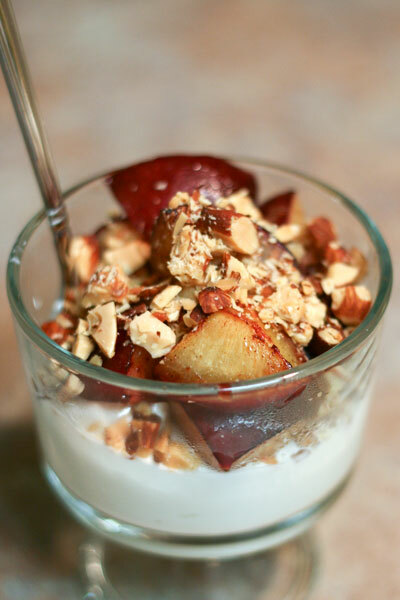 Top with roasted plums, a drizzle of honey, and almonds. Serve immediately. I am a sucker for plums! This looks fantastic. I’m glad I stumbled across your blog. You have so many recipes I would love to try! Those look amazing. 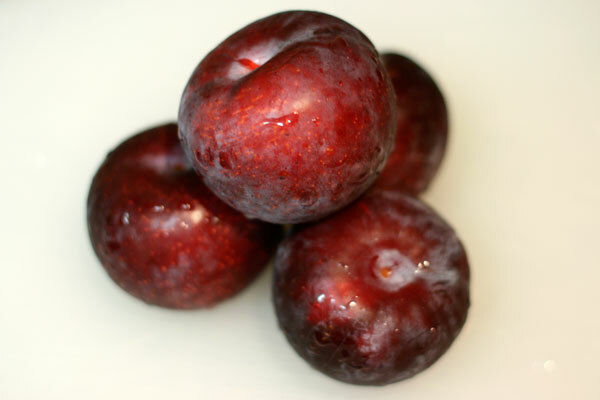 I love plums in general but those are just scrumptious. 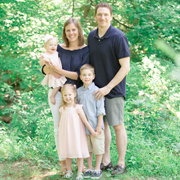 Well to start off with…. I have seen this recipe on other websites but decided to go with yours because of how you approach the viewer. Anyway…. after preheating the oven to 400, I completely winged it… measurement wise and as I did this, I totally felt like an old German women who had made this a hundred times… so I put them in for like 5 minutes, checked them, another 3… tasted them… added some more brown sugar and honey to coat them… another 5 minutes and they were so Freakin’ tasty!